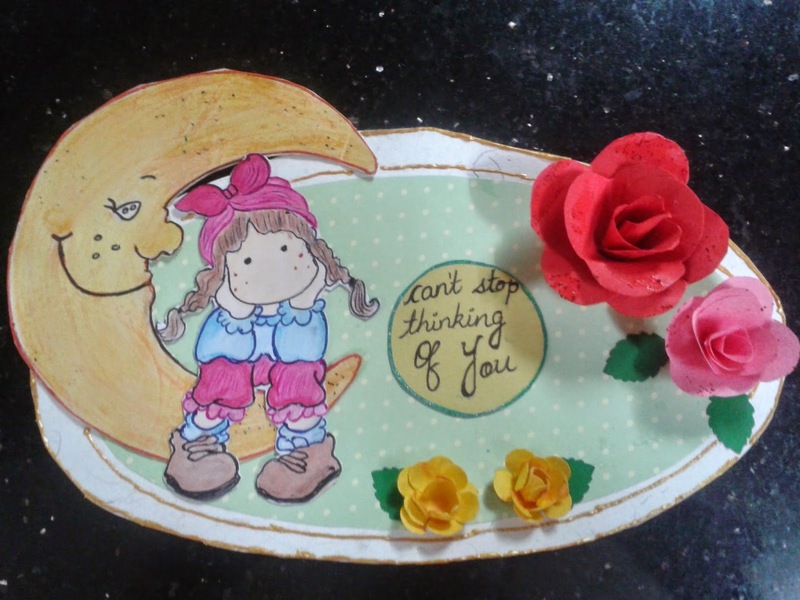 Pygmy Arts: Thinking Of You ......! My fiance loved the card and told me that he wished he could be as expressive as me. I guess that is a compliment in itself; dont you think so ? Do let me know your comments on the card. Love this cute card Bijal.. lovely water coloring..
Bijal the coloring is awesome. Especially loved the bow on her head and the blue top which is shaded perfectly..and yes I think you are right in not sharing the poem...I think young lovers need privacy!! Ha Ha!! Cute card!Thanks for joining us at CSCC.Good luck! nice colouring bijal. Thanks for joining us at CSCC. so cute.thanks for participating at CSCC.best wishes.